Contrary to popular belief, long Summer days are the least inspiring for creative photography. Outside the early and late "golden hours", the harsh, high angled lighting and mega contrast totally overwhelm most types of image. 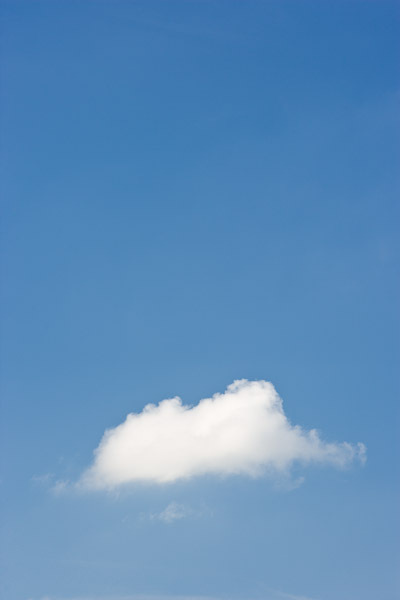 However, these weather conditions can lead to piercing blue skies, which created a perfect backdrop for this lone cloud as it drifted lazily across the sky. By placing the cloud in the lower part of the composition, I hoped to suggest the expanse of wide open, empty sky. Photo © copyright by Graham Chalmers.